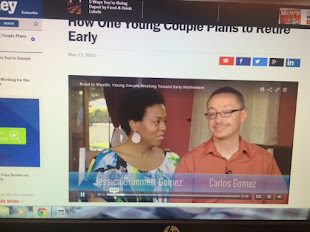 My wife, Jessica, has been on a savings crusade this month. She suggested back at the start of August that we cut the cord and stream Netflix on our Roku TV. We did and my AT & T bill, which now only includes Internet and phone, came down to $147 from an original $201. That's a nifty $54 savings per month or $648 per year. What is driving Jessica's motivation? Well, this week is Jessica's last week of work. She is quitting her part-time job (she worked two times a week, Tue and Thu) as a dental assistant. It's a big move for her (and us) because those two days would bring in anywhere from $900 to $1200 net income each month. Not my wife! But great pic and article. It's hard being a parent in this country, especially when your child starts Kindergarten. Some schools have kids go half-day, while others are "full-day" programs. Mind you, "full-day" means the child gets out between 2:00 and 3:00 p.m. Now let me ask this...how many people who are employed, i.e., have a typical job, get out between 2:00 and 3:00 p.m.? Very few! So what's a parent to do about their child? If one gets out from work at 5:00 p.m., someone has to pick-up the child from school and if no one is home, take them to after-school hour daycare. This gets very expensive! Sometimes the expense is more than the income one generates from full (or part) time employment. "I got my cell phone bill down to $86!! And if I pay my phone off ($450) then it goes down to $45 a month." Jessica: "Called and got a little crazy to speak to a manager...lol. Told them I want it under $100 or I'm going to a different company." Have you ever heard of the "angry black woman" stereotype? Yeah...it's when a black woman gets angry and evokes a fear so deep, you would be better off with the Grim Reaper. It works on kids and people with little familiarity with African-Americans. But it really is an awful stereotype. Let's face it, all woman (and men) have the potential to get loud and angry with others. We've seen enough evidence of it on social media. Now the people on the phone don't know she's black. How could they? From her voice? No...I just inserted this into the title of this post to get your attention and to bring about some reflection. The main point here is that what Jessica did took an awful lot of determination and gall. If you want to stop paying so much for your cell phone bill, you too may need to get a little angry. Why not? After all, these cell phone companies have been gladly sticking it to you for months with their fees here and there. Jessica put it in her mind that she wanted a bill that was less than $100 per month; she called the company and got the outcome she desired. That's success people! What did she have to give up, you may be wondering? "Only downside is I only have 2 Gb of high speed data now. It will slow down and be irritating but I'm cool with it if it saves money." That's called taking one for the team! Her cell phone bill was $137. So now we're saving $51 a month or $612 per year. This, in addition to saving on daycare for our eldest daughter now that she's at school on a full-day schedule (we're only paying for pre-school for our son now), will make it so that we live comfortably on our monthly budget. 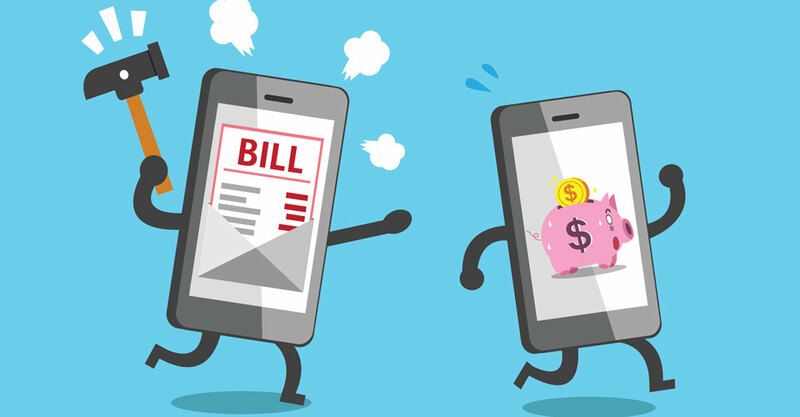 There are many ways to save on your cell phone bill. Here are 22 other tips that can help you save. I recommend trying these before you reach the point of having to "speak with a manager." The threat of losing customers is huge for companies in high competition areas like wireless service and pay-TV. You have leverage as a consumer to ask for certain plans or packages. Some people jump from provider to provider, getting promotional deal after promotional deal. You can too! It does take a bit of work, and never getting into any early cancellation contracts, but it's possible to weasel your way into another promotion and save, save, save!